Leaving your savings sitting idle in a bank account makes little sense unless you are likely to need the money at short notice. Savings deposit interest rates at banks are mostly less than 1 per cent these days - still far below this year's expected inflation rate of between 3.5 per cent and 4.5 per cent. This means that the real spending power of your savings is definitely going to be eroded unless you look to invest the money for higher returns. Alongside property, the stock market is a key investment option for many Singaporeans. Here is the first of a three-part guide for those just starting out on their investment journey. The first thing to decide on is how much money you are willing to invest in the stock market. For those starting out, it may be wise to set aside some cash first to keep for emergencies. After all, emergencies can crop up suddenly. You might lose your job and not be able to sell your stocks easily. Or you might have to take a large loss on them in an emergency sale. American financial adviser and television host Suze Orman suggests that people should maintain an emergency fund to cover at least eight months of expenses. After this savings pool is set aside, you can look to invest any further savings. 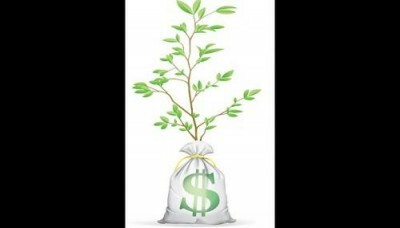 The starting amount can be small: $500 can get you an investment in a unit trust, which is a large fund which employs professionals to manage stocks on behalf of small investors. Alternatively, one "lot" of shares can cost as little as a few hundred dollars. A lot refers to a standard number of shares - 1,000 shares, for instance - bought or sold in one transaction. There are several ways to invest in stocks: via unit trusts, or buying shares directly. Another way is to buy exchange-traded funds (ETFs), which are funds tracking the price movements of an underlying asset such as a stock market index or commodity. Those investors who are unwilling to analyse and choose individual stocks can leave it to the experts who are paid to do the job: fund managers. The main benefit of such investments in unit trusts is that the investor can ride on the expertise of the fund manager. "Star" fund managers have been known to outperform the market and grow their clients' money very quickly. You can invest in funds via a bank, or an independent financial adviser from a firm like finexis or First Principal, who will recommend funds based on your risk appetite. Investors can also use online platforms such as Fundsupermart, dollarDEX or POEMS. Fees include the annual fund manager fees, deducted from the fund straightaway, and so do not need to be paid straight out of investors' pockets. There may also be an upfront sales charge for the fund. Depending on where the fund is purchased, fees may also be payable to the bank or financial adviser, notes Ms Geraldine Lam, investment specialist at financial advisory firm Providend. An investor can buy into a fund via one lump sum, starting from a minimum investment of $500, $1,000 or $2,000, depending on the fund. A regular savings plan is another method of buying into funds. This involves investing a fixed sum every month, which could be as low as $100. This invokes the principle of "dollar cost averaging" - you will effectively purchase fewer investment units for your $100 when prices rise but more units when prices fall. Some experts say "dollar cost averaging" is better than trying to "time" the market, or manually gauging the best time to invest when prices seem to be low. One key point to note is that the Monetary Authority of Singapore has designated most unit trusts as "specified investment products". This means those who want to invest need to have education or work experience in finance-related fields, or prior trading experience in unit trusts. Otherwise, in the case of unit trusts, they must be given investment advice by the seller of the unit trust before they can proceed to buy the product. Another point to remember is that the management fees for fund managers have to be paid whether the unit trust gains or loses money for you. Keen to avoid these fees, many investors choose to trade stocks directly. You will not need to pay a fund manager when you trade yourself. This option is for those more willing to study and analyse the market and individual stocks. Before someone can trade stocks, he or she should personally visit a broking house to open an account. Broking houses here include DBS Vickers, OCBC Securities, UOB Kay Hian, Phillip Securities, AmFraser Securities, Maybank Kim Eng and CIMB Securities. The investor will need to bring original identification documents. He or she will then be able to open both a securities trading account and a Central Depository (CDP) account. The two accounts will be linked. There may also be other forms to sign, such as those allowing you to pay for your shares using Internet banking or the ATM. Your trades will be executed via the trading account, and the shares will then be transferred to the CDP where they will be kept under the investor's name. The accounts will take several working days to be set up. You will be informed by mail when they are ready. After this, you will be able to start trading stocks. It will be useful to speak to your remisier before you start - he or she will be assigned to you by the broking house - to get some advice. More information on the individual stocks, such as their prices and company accouncements, can be found on the Singapore Exchange's website or financial portal ShareInvestor. Some broking houses offer three ways to buy stocks: passing instructions by phone to a remisier, via their online trading website, and via mobile applications such as on smartphones. OCBC Securities vice-president Tan Shen-Lin said that online trading allows investment-savvy clients the opportunity to trade independently. The mobile application allows investors the flexibility and convenience of trading on the move, he said. "Investors who seek personalised service could contact their trading representative," he said. Trading via a remisier could incur a minimum fee of $40, while trades done online or through mobile devices will typically have a minimum fee of $25. These charges may increase as the value of the trades rises. There will be other charges, such as a trading fee to the SGX. Investors will have to pay the consolidated sum, including all the fees and the actual value of the trades. Payment can be via Internet banking, ATMs or cash or cheque to the broking house. Singapore operates on a "contra" system which gives investors three days to settle their payments. So if you buy a stock on Monday the money must reach your broking house by Thursday. Most Singapore-listed stocks are not listed as "specified investment products" so newcomers should be able to trade them. After buying the shares they will sit in your CDP account until you decide to sell them. The CDP does not charge "custodian fees" for holding Singapore-listed shares. Exchange-traded funds (ETFs) are a useful option for investors wanting to save on the fees involved in having their money managed in unit trusts. These are funds that track the performance of a commodity or stock index. ETFs also charge management fees, but these tend to be much lower than those of unit trusts. ETFs tracking Singapore's Straits Times Index have become popular because investors can track an entire index using a single security, rather than having to buy tens of stocks which make up the index. For some investors, this seems less risky than pinning their hopes on a few stocks. These products will rise when the market rises, allowing capital gains. Many ETFs also distribute dividends to investors, similar to the returns one would get by holding all the stocks in the index. ETFs are traded on the stock market and kept in an investor's CDP account so one has to start a brokerage and CDP account before starting to buy them. The MAS has designated most ETFs as "specified investment products". Investors with finance-related education or work experience, or who have trading experience in ETFs will be allowed to trade. Otherwise, in the case of ETFs, they will have to take a test to ascertain their product knowledge before they can buy. Unit trusts, shares and ETFs are among the most common instruments used by investors new to the market. Individuals may choose one of these instruments, based on their profiles and risk appetites.